On the series premiere of I Need My Space, Inverse’s first-ever podcast, SETI senior astronomer Seth Shostak tells hosts Rae Paoletta and Steve Ward that he and NASA are looking for different types of ET. For us Earthlings, it pays to know the difference. Shostak’s driving at the difference between a hypothetical alien microbe and something more sophisticated. About a decade ago, Shostak bet a crowd of attendees at a talk in Germany we’d find a signal from intelligent life within two dozen years. If he was wrong, Shostak said he’d buy them all a cup of coffee. Clearly, we haven’t found evidence of extraterrestrial life, intelligent or otherwise. 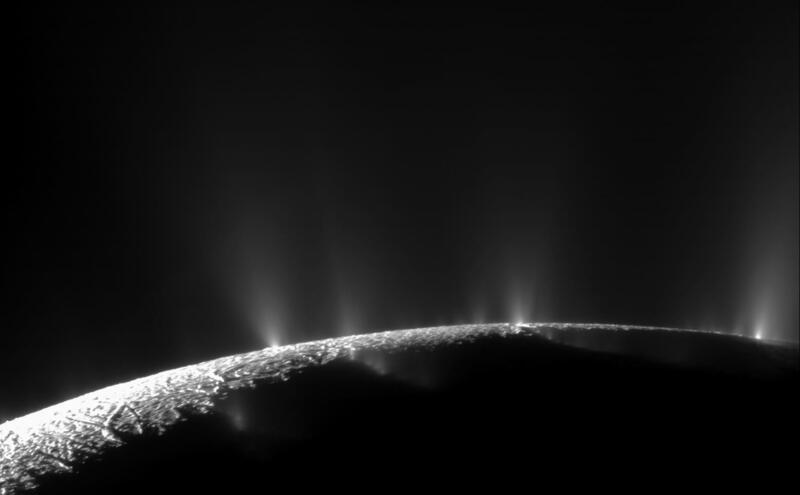 But scientists have some ideas about where alien microbes could be hiding. Enceladus, one of the moons of Saturn, is a prime suspect since it appears to contain all the necessary ingredients for life. Europa, one of Jupiter’s moons, is similarly a favorite among astrobiologists, since it contains a large subterranean ocean like Enceladus’s. Where there’s (probably) water, there’s (maybe) life. Finding intelligent life is clearly more complicated, and this is where SETI comes in: the institute listens for radio and/or light signals that could be sent from distant, civilized aliens. No luck so far, but Shostak says he stands by his bet and doesn’t plan on buying that coffee any time soon. Check out more from the conversation with Seth Shostak in the first episode of I Need My Space. It’d mean the world to us if you subscribed, rated, and reviewed INMS. Be sure to listen to our debut episode of the #INeedMySpace podcast, out today! We asked Seth Shostak, senior astronomer at @setiinstitute, all our alien questions. 👽💛 Also on the pod, we asked @benjaminrgrant over at @dailyoverview about why he needs #space. Follow 'I Need My Space' on Instagram, too.